Partners: Romanisches Seminar (UZH, Zurich), Doktoratsprogramms «Romanistik: Methoden und Perspektiven» (UZH, Zurich), Équipe de Recherche Pléiade (Université Paris13), University of Ottawa. In the first lines of his essay, L’épreuve de l’étranger (1984), Antoine Berman states that ‘the constitution of a history of translation is the first step for a modern theory of translation’ (Berman 1984: 12). This reflexion, after thirty years, cannot but appear prophetical: the study of translations shows us new ways because it thinks and rethinks itself through the lens of other disciplines and, most particularly, because it aims to be an integral part of Literary history. In 1998, in a pioneering work, Anthony Pym sketched a series of paradigms for Translation history: not only he reflected on this discipline from an epistemological perspective, but he also presented to readers a first real ‘methodology’ (Pym 1998). The scientific imperative represented by this new research field has changed the point of view of the international academic community, and one can now consider the ensemble of translated texts not only as ‘literature’ (to which the study of translations is all too often restricted) but also as a ‘cultural heritage’ that plays a crucial role in the history of knowledge and ideas (Ballard 2013). Several papers, research articles, PhD dissertations and other much more ambitious enterprises have been led during the last years. For instance, we can mention two broad collective projects in order to give to readers an enough representative taste of the theoretical soul of our time: two series, in English and French, the The Oxford History of Literary Translation in English series, edited by Stuart Gillespie and David Hopkins (Oxford University Press, 2006-2010), and the Histoire des traductions en langue française edited by Yves Chevrel and Jean-Yves Masson (Lagrasse, Verdier, 2012-2016). However, despite the richness of academic outputs, the epistemological, theoretical and methodological issues seem to be too often ignored in works that aspire to carry out a history of translations. The challenges of every method in Translation studies influence radically the approaches and results of every research: it seems that the most careful authors and researchers would benefit significantly from an epistemological inquiry. This International Congress aims to offer to academics an unprecedented opportunity to reflect on purely methodological aspects. Apart from the study of the oeuvre, text, genre or corpus, it will be necessary to pay particular attention to an overall view, that is to say to be carried away by a cartographical inspiration. As argued by Astrid Guillaume (2014), it would be necessary to consider as starting point, obviously, source-texts and target-texts, but also to not be limited to the text, corpus, and genre: the study of translations should envisage ‘entire eras […] from the perspective of the duration and contrastivity, the history of mentalities in its chronological development, and the times that form the soul of civilisations or influence entire generations’ (Guillaume 2014: 381-382). François Rastier has already emphasized, in 2011, the necessity of an interdisciplinary vision of historiography: ‘languages are all too often limited to dictionaries, grammars, or syntaxes. It is nonetheless decisive to take into consideration, other than the system, also the corpus (working corpus, and referring corpus), the archive (then also the historical language), finally the social practices in which and through which the linguistic activities take place’ (Rastier 2011: 14). The future histories of translations would be confronted with theoretical tools that can allow us to describe complex historical processes, as well as to look at the socio-cultural dimension. The historiography of translation should not thus delay the dialogue, even the shock, with the founding notions of historiographical methods and literary criticism. One could mention, for instance, the issue of establishing a translational canon, the identification and the study of different ‘translation traditions’ (Venuti 2005) from a diachronic perspective, or also the possibility of distinguishing ‘imaginaries of translation’ (Raimondo 2016) that allow us to model the translators’ subjectivities in the first place (‘imaginaries of translators’), and then the various conceptions and theories of translation (‘imaginaries of translation’) involved in the re-mediation and transmission of texts. The history of translators cannot thus lightly dispense with the history of translation considered as a chronicle of the ‘culture of translation’ (Burke 2007). Finally, the history of translation opens up new innovative perspectives in relation to the very status of Translation studies, a discipline that is evolving not only toward a ‘comparative new historicism’ (Coldiron 2001: 98) but also toward ‘Comparative Translation Studies’ (Tyulenev and Zheng 2017; Van Doorsler 2017). Due to the redoubling of sources and the difficulty in establishing corpora, the multiplication of textual references and paratextual elements, due to the several linguistic, interlinguistic and translinguistic issues that it poses, Translation studies is a privileged field for rethinking the foundations of literary and historiographical approaches. The task of the translation critic is made difficult because the history of translations is confronted not only with the alterity of the author but also with that of the translator, into a dynamic process of doubling horizons. The consciousness of every historiographer dizzily swings between the need of erudition and the necessary risk of narrative fiction, which is a dissidio involving a heuristic prudence. We thus wish not only to draw the contours of a learned history but also to consider the opportunity of rewriting a new history, another history, even maybe a ‘natural history of translation’ (Le Blanc, forthcoming 2019). Proposals should be submitted in English, Italian or French to the e-mail address below not later than the 1st of February 2019. Proposals should include an abstract (max. 300 words), un title, a short biobibliography and contacts (e-mail, telephone, etc.). Selected candidates will be informed during the first week of February. The Congress will be held on the 15th and 16th of April 2019 and will conclude with a Lecture given by Charles Le Blanc (Full Professor, uOttawa) on the occasion of the publication of his new essay Histoire naturelle de la traduction (Paris, Les Belles Lettres, forthcoming 2019). Proposals can be the object of a publication in a conference-proceeding volume. These texts need therefore to be previously unpublished, should pass through a further selection and will have to be sent during the months following the Congress. Nelle prime righe della sua opera, L’épreuve de l’étranger (1984), Antoine Berman affermava che «la costituzione di una storia della traduzione è il primo compito di una teoria moderna della traduzione» (Berman 1984: 12). Questa riflessione, a trent’anni di distanza, non può che apparire profetica: lo studio delle traduzioni traccia oggi nuovi cammini, poiché si pensa e si ripensa alla luce delle altre discipline e, in particolare, poiché aspira a far parte della storia letteraria. Nel 1998, in un lavoro pionieristico, Anthony Pym abbozzava una serie di paradigmi per la Storia delle traduzioni: non solo rifletteva su questa disciplina da un punto di vista epistemologico ma offriva anche ai lettori una prima vera «metodologia» (Pym 1998). L’urgenza scientifica di questo nuovo ambito di ricerca ha cambiato il punto di vista della comunità accademica internazionale e possiamo ormai considerare l’insieme dei testi tradotti non solo come della “letteratura” (alla quale si limita troppo spesso lo studio delle traduzioni) ma anche come un “patrimonio intellettuale” che gioca un ruolo cruciale nella storia dei saperi e delle idee (Ballard 2013). Numerosi articoli, ricerche, tesi di dottorato e altre imprese ben più ambiziose si sono moltiplicate durante gli ultimi anni. È sufficiente segnalare, a titolo d’esempio, due grandi progetti collettivi per dare ai lettori un saggio dello spirito del tempo: la collezione The Oxford History of Literary Translation in English diretta da Stuart Gillespie e David Hopkins (Oxford University Press, 2006-2010) e la collezione Histoire des traductions en langue française diretta da Yves Chevrel e Jean-Yves Masson (Lagrasse, Verdier, 2012-2016). Tuttavia, nonostante la ricchezza della produzione scientifica, le questioni epistemologiche, teoriche e metodologiche sembrano essere sempre più ignorate nei lavori che hanno l’ambizione di realizzare una storia delle traduzioni. Le sfide di ogni metodo traduttologico influenzano fortemente l’approccio e i risultati della ricerca: ci sembra che le commentatrici e i commentatori, le ricercatrici e i ricercatori più attenti trarrebbero un notevole profitto da un’indagine epistemologica. Questo Congresso internazionale intende offrire al pubblico universitario un’occasione inedita per riflettere su degli aspetti puramente metodologici. Al di là dello studio dell’opera, del testo, del genere o del corpus, bisognerà dedicare un’attenzione particolare a una visione d’insieme, lasciarsi trasportare da un’ispirazione cartografica. Come sostiene Astrid Guillaume (2014), bisognerebbe quindi considerare come punto d’inizio, ovviamente, i testi di partenza e quelli di arrivo, ma non limitarsi solo al testo, al corpus e al genere: lo studio delle traduzioni deve contemplare «intere epoche storiche […] dal punto di vista della durata e della contrastività, la storia delle mentalità nel divenire e i tempi che formano lo spirito o influenzano delle generazioni intere» (Guillaume 2014: 381-382). François Rastier metteva già l’accento, nel 2011, sulla necessità di una visione interdisciplinare della storiografia: «le lingue sono troppo spesso ridotte a dei dizionari e delle grammatiche, o a delle sintassi. Bisogna tuttavia tener conto, oltre che del sistema, dei corpus (corpus di lavoro e corpus di riferimento), dell’archivio (quindi della lingua storica), infine delle pratiche sociale nell’ambito delle quali si effettuano le attività linguistiche» (Rastier 2011: 14). Le future storie delle traduzioni dovrebbero allora confrontarsi con dei dispositivi teorici che permettano di descrivere dei processi storici complessi, oltre che di render conto della dimensione socio-culturale. La storiografia delle traduzioni non potrà quindi ritardare ulteriormente il dialogo, persino lo scontro, con delle nozioni che sono fondatrici nei metodi storiografici e nella critica letteraria. Si evocherà, per esempio, la questione della costituzione di un canone traduttivo, l’identificazione e lo studio delle differenti «tradizioni traduttive» (Venuti 2005) in una prospettiva diacronica, ma anche la possibilità di distinguere degli «immaginari della traduzione» (Raimondo 2016) che ci permettono di descrivere, da un lato, la soggettività dei traduttori (immaginari dei traduttori), dall’altro, le diverse concezioni e rappresentazioni della traduzione (immaginari del tradurre) coinvolti nella ri-mediazione e nella trasmissione dei testi. La storia dei traduttori non può quindi fare a meno della storia del tradurre considerata come cronaca della «cultura della traduzione» (Burke 2007). La storia della traduzione ci offre infine delle prospettive innovanti sullo statuto stesso della traduttologia che si sta aprendo non solo a un «nuovo storicismo comparato» (Coldiron 2011: 98) ma anche a una «traduttologia comparata» (Tyulenev and Zheng 2017). Per il raddoppiamento delle fonti e la difficoltà nel costruire dei corpora, per la moltiplicazione dei riferimenti testuali e degli elementi paratestuali, per le numerose questioni linguistiche, interlinguistiche e translinguistiche ch’essa pone, la traduttologia diventa un ambito privilegiato per ripesare le fondamenta degli approcci letterari e storiografici. Il compito del critico delle traduzioni è reso più difficile poiché la storia delle traduzioni si confronta non solo all’alterità dell’autore ma anche a quella del traduttore, all’interno di una dinamica di raddoppiamento degli orizzonti. La coscienza di ogni storiografo oscilla vertiginosamente fra il bisogno d’erudizione e il rischio necessario della finzione narrativa, un dissidio che comporta una prudenza euristica. Desideriamo quindi non solo tracciare i contorni di una storia dotta, ma anche considerare la possibilità di riscrivere una nuova storia, un'altra storia, forse persino una «storia naturale della traduzione» (Le Blanc, in uscita 2019). Le proposte d’intervento dovranno essere inviate in italiano, inglese o francese ai indirizzi segnalati qui sotto entro e non oltre l’1 febbraio 2019. Le proposte comporteranno un riassunto di massimo 300 parole, un titolo, una breve notizia biobibliografica e i contatti (e-mail, telefono, ecc.). Le candidate e i candidati selezionati saranno informati all’inizio del mese di febbraio. Il Congresso si terrà il 15 e 16 aprile 2019 e si concluderà con una conferenza di Charles Le Blanc (Professore Ordinario, uOttawa) in occasione della pubblicazione del suo ultimo libro Histoire naturelle de la traduction (Paris, Les Belles Lettres, in uscita 2019). Gli interventi potranno diventare l’oggetto di una pubblicazione. Questi testi dovranno essere inediti, dovranno passare attraverso un’ulteriore selezione e dovranno essere inviati nei mesi successivi al Congresso. Dans les premières lignes de son ouvrage, L’épreuve de l’étranger (1984), Antoine Berman affirmait que « la constitution d’une histoire de la traduction est la première tâche d’une théorie moderne de la traduction » (Berman 1984 : 12). Cette réflexion, à trente ans de distance, ne peut qu’apparaître prophétique : l’étude des traductions trace aujourd’hui des nouveaux chemins, en ce qu’elle se pense et se repense à la lumière des autres disciplines et plus particulièrement en ce qu’elle aspire à faire partie de l’histoire littéraire. En 1998, dans un ouvrage pionnier, Anthony Pym esquissait une série de paradigmes pour l’Histoire des traductions : non seulement il réfléchissait à cette discipline d’un point de vue épistémologique mais il offrait aux lecteurs une première véritable « méthodologie » (Pym 1998). L’urgence scientifique de ce nouveau champ de recherche a changé le point de vue de la communauté académique internationale et on peut désormais considérer l’ensemble des textes traduits non seulement comme de la « littérature » (à laquelle on limite trop souvent l’étude des traductions) mais aussi comme un « patrimoine intellectuel » qui joue son rôle dans l’histoire des savoirs (Ballard 2013). Plusieurs recherches, thèses, articles et même des entreprises de longue haleine se sont multipliés pendant les dernières années. Il suffit d’évoquer deux grands projets fédérateurs à titre d’exemple : la collection The Oxford History of Literary Translation in English dirigées par Stuart Gillespie et David Hopkins (Oxford University Press, 2006-2010) et la collection Histoire des traductions en langue française dirigée par Yves Chevrel et Jean-Yves Masson (Lagrasse, Verdier, 2012-2016). Toutefois, malgré la richesse de la production scientifique, les questions épistémologiques, théoriques et méthodologiques semblent trop souvent refoulées dans les travaux qui ont l’ambition de réaliser une histoire des traductions. Les enjeux de toute méthode traductologique influent nettement sur l’approche et le résultat des recherches : il nous semble que les commentateurs et chercheur-euse-s plus averti-e-s tireraient nettement profit d’une telle circonspection épistémologique. Ce Congrès international souhaite donner au public universitaire une occasion inédite pour réfléchir à des aspects purement méthodologiques. Au-delà de l’étude de l’œuvre, du texte, du genre ou du corpus, il faudrait donc porter une attention toute particulière à une vision d’ensemble, se laisser entraîner par une inspiration cartographique. Comme l’a avancé Astrid Guillaume (2014), il faudrait ainsi garder comme point de départ, certes, les textes-cibles et les textes-sources, mais ne plus travailler exclusivement sur des textes, des corpus et des genres : l’étude des traductions doit viser « des époques entières […] sur la durée et la contrastivité, l’histoire des mentalités en devenir et les temps qui formatent l’esprit ou marquent des générations entières » (Guillaume 2014 : 381-382). François Rastier mettait déjà l’accent en 2011 sur une vision interdisciplinaire de l’historiographie : « on a trop souvent réduit les langues à des dictionnaires et des grammaires, voire à des syntaxes. Il faut cependant tenir compte, outre du système, des corpus (corpus de travail et corpus de référence), de l’archive (de la langue historique), enfin des pratiques sociales où s’effectuent les activités linguistiques » (Rastier 2011 : 14). Les futures histoires des traductions devraient alors se confronter à des dispositifs théoriques permettant de décrire des procès historiques complexes ainsi que de rendre compte de la dimension socio-culturelle. L’historiographe des traductions ne pourra donc retarder ultérieurement le dialogue, voire l’affrontement, avec des notions fondatrices dans les méthodes historiographiques et dans la critique littéraire. On évoquera par exemple la question de la constitution d’un canon traductionnel, l’identification et l’étude de différentes « traditions traductionnelles » (Venuti 2005) dans une perspective diachronique, mais aussi la possibilité de distinguer des « imaginaires de la traduction » (Raimondo 2016) qui nous permettent de modéliser, d’un côté, la subjectivité des traducteurs (imaginaires des traducteurs), de l’autre, les diverses conceptions et représentations de la traduction (imaginaires du traduire) impliquées dans la remédiation et dans la transmission des textes. L’histoire des traducteurs ne peut donc pas faire l’économie de l’histoire du traduire en tant que chronique de la « culture de la traduction » (Burke 2007). L’histoire de la traduction ouvre enfin de nouvelles perspectives vis-à-vis du statut de la traductologie qui s’est ouverte non seulement à un « nouveau historicisme comparé » (Coldiron 2001 : 98) mais aussi à une « traductologie comparée » (Tyulenev and Zheng 2017). Par le dédoublement des sources et la difficulté à constituer des corpora, par la multiplication des références textuelles et des données paratextuelles, par les nombreuses questions linguistiques, interlinguistiques et translinguistiques qu’elle pose, la traductologie devient ainsi un champ privilégié pour repenser les fondements des approches littéraires et historiographiques. La tâche du critique des traductions est rendue plus difficile par le fait que l’histoire des traductions se confronte non seulement à l’altérité de l’auteur mais aussi avec celle du traducteur, à l’intérieur d’une dynamique de dédoublement des horizons. La conscience de tout historiographe oscille vertigineusement entre le besoin d’érudition et le risque nécessaire de la fiction narrative, écart qui appelle une prudence heuristique. Nous souhaitons donc non seulement tracer les contours d’une histoire savante, mais aussi envisager la possibilité de réécrire une nouvelle histoire, une autre histoire, voire une « histoire naturelle de la traduction » (Le Blanc, à paraître 2019). imaginaires des traducteurs et imaginaires du traduire. Les propositions de communication sont à adresser en français, en italien ou en anglais aux adresses suivantes avant le 1 février 2019. Elles comporteront un résumé de 300 mots maximum, un titre, une notice biobibliographique et les coordonnées (e-mail, téléphone, etc.). Les candidat-e-s retenus seront informés pendant la première semaine de février. 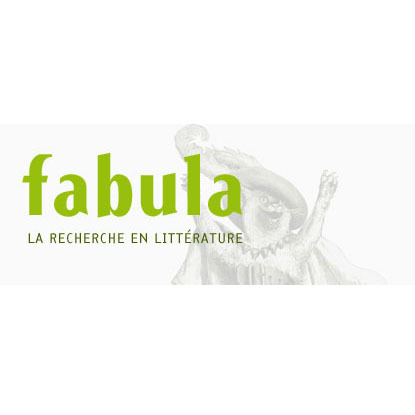 La Journée d’Études se tiendra le 15 et le 16 avril 2019 et se clôturera par une conférence de Charles Le Blanc (Full Professor, uOttawa) à l’occasion de la parution de son dernier livre Histoire naturelle de la traduction (Paris, Les Belles Lettres, à paraître 2019). Les communications pourront faire l’objet d’une publication. Ces textes devront être inédits et devront passer par une sélection ultérieure. Ils seront envoyés dans les mois suivant la Journée d’Étude. Anne E. B. COLDIRON, ‘Toward A Comparative New Historicism: Land Tenures and Some Fifteenth-Century Poems’, Comparative Literature, vol. 53.2 (2001), p. 97-116. Michel BALLARD, Histoire de la traduction : repères historiques et culturels, Bruxelles, De Boeck, 2013. Antoine BERMAN, L’Épreuve de l’étranger. Culture et traduction dans l’Allemagne romantique, Paris, Gallimard, 1984. Peter BURKE, ‘Cultures of Translation in Early Modern Europe’, in Peter BURKE and R. Po-chia HSIA (ed. ), Cultural Translation in Early Modern Europe, Cambridge, Cambridge University Press, 2007, p. 7-38. Astrid GUILLAUME, ‘Vers une sémiotique diachronique et contrastive des cultures’, in Driss ABLALI, Sémir BADIR, Dominique DUCARD (ed. ), Documents, textes, œuvres. Perspectives sémiotiques, Presses Universitaires de Rennes, 2014, p. 381-406. The series ‘Histoire des traductions en langue française’, ed. by Yves Chevrel et Jean-Yves Masson (Lagrasse, Verdier, 2012-2016). Charles LE BLANC, Histoire naturelle de la traduction, Paris, Les Belles Lettres, forthcoming January 2019. Anthony PYM, Method in Translation History, Manchester, St. Jerome Publishing, 1998. Riccardo RAIMONDO, ‘Orphée contre Hermès: herméneutique, imaginaire et traduction (esquisses)’, Meta, vol. 61 (2016), p. 650-674. François RASTIER, La mesure et le grain. Sémantique de corpus, Paris, Champion, 2011. Sergey TYULENEV and Binghan ZHENG (ed. ), Toward Comparative Translation and Interpreting Studies, Amsterdam, John Benjamins, p. 197-212. Lawrence VENUTI, ‘Translation, History, Narrative’, Meta, vol. 50.3 (2005), p. 800-816.